Officials say they’ll have to use DNA to confirm the identity of one of the victims in yesterday’s apartment building fire in Des Moines. Two others died in the fire. A 4th floor apartment was heavily damaged, along with two neighboring units, but Des Moines Fire Marshal Jonathan Lund said late this morning that they do not yet know how or where the fire started. Since the cause cannot be readily identified, Lund said arson has not yet been ruled out. 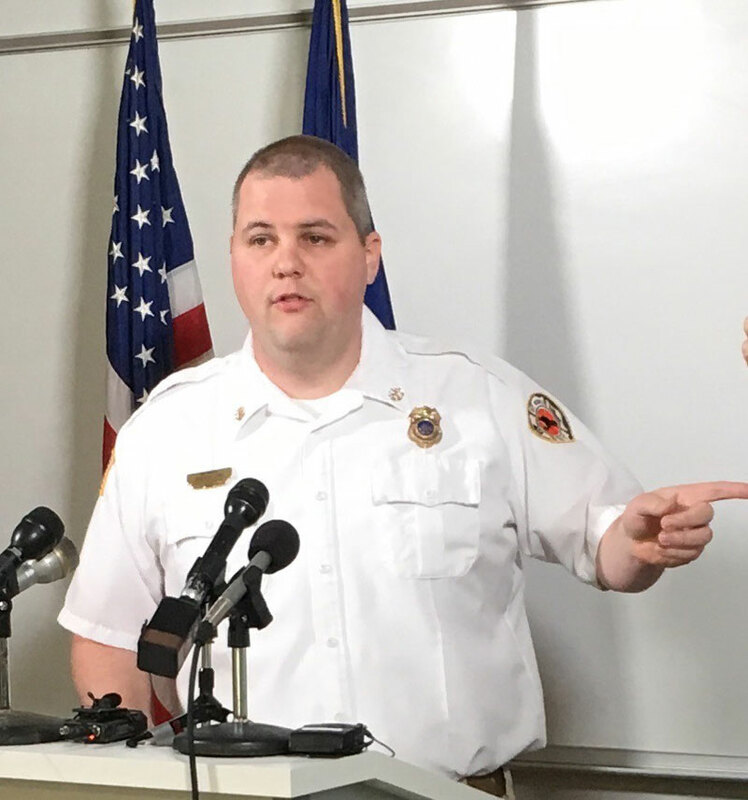 “We have two fire investigators from the fire department that are assigned to work on this case and they’re working with their two police partners as well,” Lund said. Sergeant Paul Parizek, a spokesman for the Des Moines Police Department, saidit’s a “technical…detail-oriented investigation” that will take a while. “Until you know otherwise, you treat it like it’s a crime scene,” he said. One of the firefighters at the scene was treated for heat exhaustion. Brian O’Keefe, a spokesman for the Des Moines Fire Department, talked today with a 25-year veteran of the department about the “extreme temperatures” involved in this fire. Three people were injured. One woman who was rescued from a 4th floor window was treated at a Des Moines hospital and released. One person was flown to Iowa City for treatment and the third remains in a Des Moines hospital. The building had fire alarms, which did go off, but there were no sprinklers as sprinkler weren’t required when the brick, steel and wood structure was built. Authorities have not yet notified the relatives of the two people who died in the fire, but officials announced this morning that one victim was a 57-year-old woman and the other was a 71-year-old man.